Cooking Class in Hua Hin and a Tour of the 100 Year Old Market! Explore Amazing Places in Hua Hin! So, you only have a few days in Thailand and you’re after a beach getaway? Then you might want to consider coming to Hua Hin. Only three hours' drive from Bangkok, Hua Hin is the perfect place to come and relax against a backdrop of sea, sun and a gentle breeze. So, what are you waiting for? Let's explore what Hua Hin has to offer you! It almost goes without saying that you can't come to Hua Hin and not visit the beach. Get your bathing suit on and swim out into Hua Hin’s pristine waters. 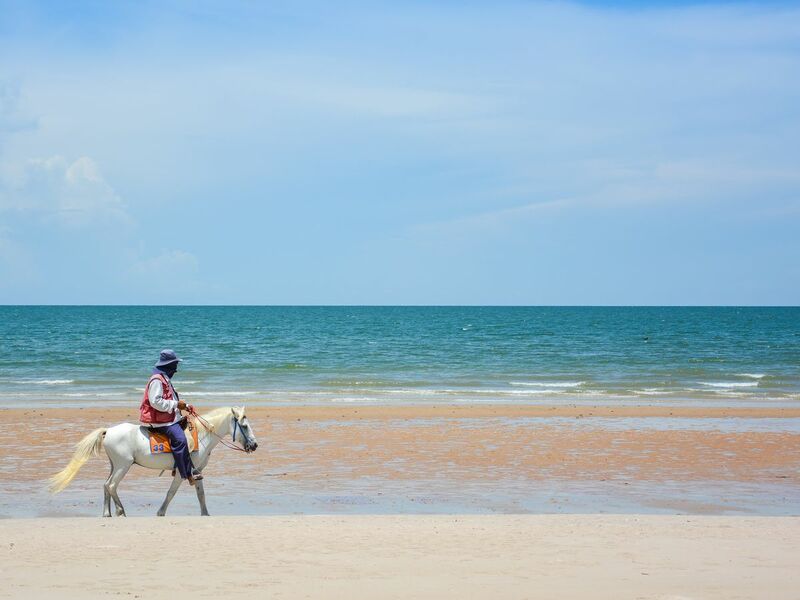 Or, if swimming isn’t your thing, then there are plenty of alternative beach activities, such as horse riding, or banana boat rides for you to enjoy. Spend a day here and you will never want to leave the serenity of Hua Hin’s majestic setting. If sitting under the sun on the beach is just not quite relaxing enough, how about getting a massage right here on the beach instead? Lie back, enjoy the beach view and let your mind and body completely relax. After a whole day spent at the beach, it's time to get some food. Make a visit to the famous Hua Hin Night Market for delicious street food. Try Hua Hin’s famous fresh seafood, roti, mango sticky rice, Pad Thai, and much more. Once you’re full, you can stroll around the night markets for local crafts and souvenirs. Come on an empty stomach, bring a bag and you’re all set for a memorable evening at Hua Hin’s night market! Have you ever wondered what Thailand was like 60 years ago? Well, you’re in luck as you can still see how the locals used to live all those years ago right here in Hua Hin. 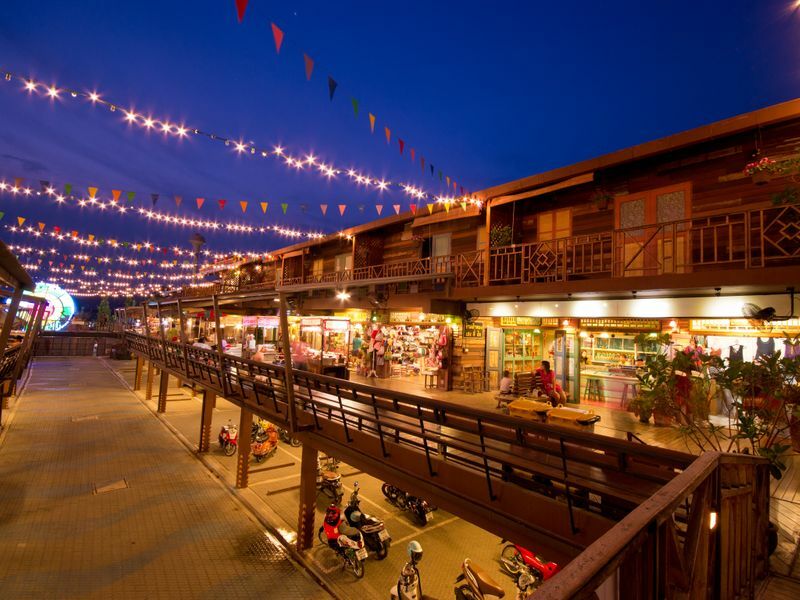 At Plearnwan Vintage Market, it's all about observing the traditions of the past, with replica shops, restaurants, movie theaters, souvenirs and amusement parks all offering you a glimpse into Thailand’s not so distant history. Experience a little bit of Thailand’s yesteryear, today. Cicada Market is a handicrafts market, suitable for picking up those Thai crafts or souvenirs to take home before your Hua Hin trip comes to an end. 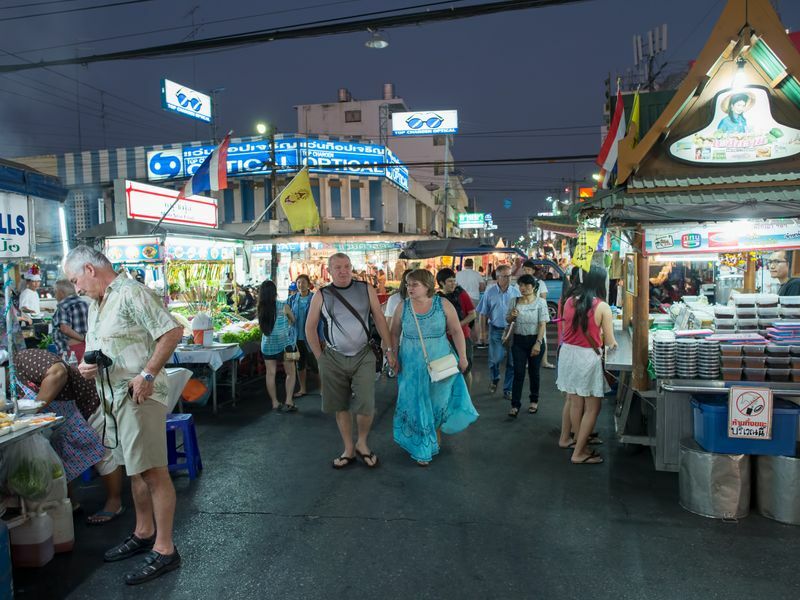 It is one of the most popular Hua Hin night markets and definitely worth a visit. All manner of food, art, and local talent can be found in one place here. So, get in that final bit of souvenir shopping for your family, friends, and lovers! Hua Hin is a beach resort town with a superb mix of city and sea activities. Don't forget to put Hua Hin on your must-visit destination list during your next trip to Thailand.